Finding the right compressor to power your pneumatic tools is always an important factor when planning out the logistics of a job site. Considerations must me made for efficiency, portability, capacity, and fuel or energy consumption. At Abilene Fastener Supply, we turn these problems into solutions. We carry brand name compressors that you trust such as Rol-Air, Saylor-Beall, DeWalt, Senco, and Makita. Our compressors can also meet your energy and portability requirements since we carry both electric and gas powered compressors. Need compressor repair? We have that covered too. Be sure to check out our services page for details on the repair services that we offer. Need compressor accessories? Abilene Fastener Supply carries a full range of guages, valves, fittings and plugs, air tools, repair kits, replacement and extension hoses, hose reels. Looking for pneumatic tools to use with your compressor? 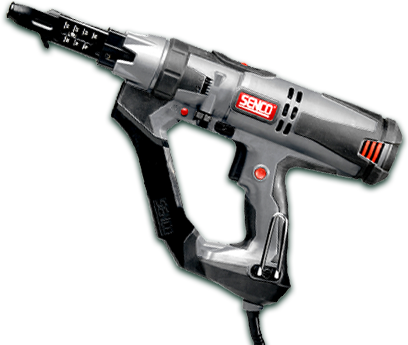 Check out our tools page for more information about our pneumatic tools. Copyright © 2015 - 2019 Abilene Fastener Supply. All Rights Reserved.